Provides a finished appearance to heavy-duty chequer plate interlocking floor tiles. 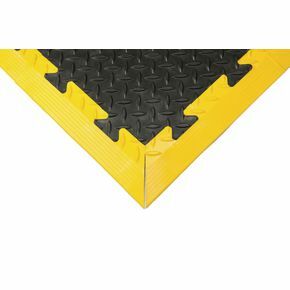 Chamfered edge reduces trip risk, and improves wheeled access. Choice of matching black or hi-visibility yellow.